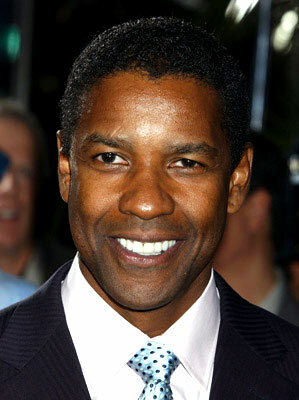 Two-time Academy Award-winning actor Denzel Hayes Washington was born December 28, 1954 in Mount Vernon, New York. Growing up in a middle-class family, Washington was the second of three children, his father, Reverend Denzel Washington, Sr., was a Pentecostal minister and his mother, Lennis “Lynne” Washington, was a beautician. Washington attended Fordham University, and as a freshman, played collegiate basketball. After dropping out of school for a semester, he returned to Fordham with renewed purpose and graduated with a Bachelor of Arts in Drama and Journalism in 1977. After achieving recognition for his stage performances, Washington was offered a scholarship to attend the American Conservatory of Theatre, a prestigious graduate school in San Francisco, California, where he stayed for one year. He then moved back to New York to pursue a professional acting career. Washington’s big break came in 1982 where he starred in the popular television drama St. Elsewhere. The show successfully ran for six years. After appearing in several other minor film, television, and stage roles, Washington played South African anti-apartheid political activist Steve Biko in Cry Freedom (1987), a role for which he received an Oscar nomination as well as a Golden Globe nomination. In the powerful film Glory (1989), Washington played a self-possessed ex-slave, and won an Oscar for Best Supporting Actor. By the end of the 1980s, Washington became one of Hollywood’s most critically acclaimed and commercially successful actors. Washington continued to garner praise for his work in the 1990s and 2000s and particularly for carefully choosing roles that resist Hollywood’s stereotypical options for black people. His most notable works include: his lead role in the film Malcolm X (1992), where he received an Oscar and Golden Globe nomination; his portrayal of Rubin Carter and Coach Herman Boone in the films The Hurricane (1999), where he received a Golden Globe for Best Actor, and Remember the Titans (2000); his portrayal of the fictional character Detective Alonzo Harris in the film Training Day (2001), where he won another Academy Award for Best Actor; and his role as Frank Lucas in the film American Gangster (2007), where he received a Golden Globe nomination. By 2006, Washington had won three Golden Globe awards, and two Academy Awards. He is the most Oscar-winning (two) and most nominated (five) black actor/actress in Academy history. He is also the second African American actor, after Sidney Poitier, to win an Academy Award for Best Actor. Collaborating with some of the film industry’s most respected directors, Washington continues to carry out different acting projects. Washington currently resides in Beverly Hills, California with his wife, actress Pauletta Pearson, and their four children.